Jupiter’s large orbital journey across the early solar system may have cleared the way for the oddball arrangement of our planetary system, scientists say – even to the point of destroying burgeoning young planets. Researchers at the California Institute of Technology created a model for the formation of Jupiter and Saturn, dubbed 'Grand Tack,'which shows Jupiter’s migration towards the sun – the area of the inner solar system, where planets like Mercury, Venus, Earth and Mars exist – until Saturn is formed. 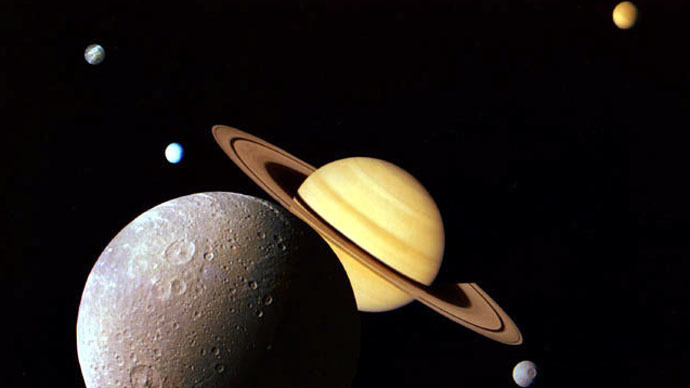 Saturn’s formation caused Jupiter to reverse course and migrate outward to its current orbit. In other exoplanet systems, there is generally evidence of super-Earths that have formed, which are planets 10 times the mass of Earth. “[Those planets] tend to have very thick and massive atmospheres with pressures that exceed that of the Earth by factors of hundreds, if not thousands,” lead study author Konstanti Batygin, a planetary scientist at Caltech in Pasadena, told Space.com. These super-Earths are conspicuously absent in our solar system, so researchers think they may have existed in the inner solar system before Jupiter’s migration. They theorize that as Jupiter moved inward and then outward, its gravitational pull would have set off a series of collisions that smashed the newborn planets to pieces. Scientists say the resulting debris would have mostly spiraled into the sun and caused a second generation of inner planets to form later from the depleted material. This could explain why Mercury, Venus, Earth and Mars are younger than our outer solar system planets, with smaller and with thinner atmospheres. “While Earth-mass planets may indeed be plentiful in the galaxy, truly Earth-like planets, with low atmospheric pressure and temperatures on the surfaces, are likely an exception to the rule,” said Batygin.